You can designate your company's United Way contribution to go to Planned Pethood by writing our name in on the third section of your pledge form. Our unique number for the United Way campaign is E336. In addition, many employers will match your personal donation to Planned Pethood. If your company has a matching gift program, please mail us the form, along with your donation, and we will process it for you. Please note that employer matching gifts may also be available to retired employees and to the spouse/widow/widower of employees. Maybe you have enough animals at home and can't fit one more in but you still really want to help one of our animals. By making a donation you can virtually adopt. Your donation might pay for a round of shots, surgery, a bag of food or kitty litter. No matter what, your donation matters. Select what animal you want to virtually adopt, with your $25 donation, and we will put your name on their bio for others to be inspired by your generosity. Click HERE to virtually adopt today! It's tough when we lose a loved one. If it's a human that loves animals or a pet, the loss feels the same. Our In Honor and In Memoriam page is a place to honor those who have passed. Send us a picture and we can include that too. In time of grief, remembering the love, laughs and the peaceful times, eases that pain. Your donation and tribute will be posted on our website. Click HERE to honor your loved one. Bequests are the transfers of wealth that occur upon a donor's death that include transfers by means of a will or a trust. Bequests can take several forms. Specific Bequest - a certain amount of cash, securities, or property. General Bequest - property that is similar to all other items distributed, usually cash. Percentage Bequest - a stated percentage of the donor's estate. Residual Bequest - all or a portion of what remains of the estate after specific and general bequests are distributed. Besides a straight bequest, you can also set up a trust that will benefit Planned Pethood during or after your lifetime. Another way to leave money is to name Planned Pethood as your beneficiary of an insurance policy or as the recipient of your IRA or retirement fund. Examples: The donor designates that 35% of his gross estate be given to Planned Pethood, Inc. (of Northwest Ohio). Please speak to your attorney. When you are purchasing your new plates this year, please consider purchasing the new Ohio Pet plates. When you do, your donation goes to rescues throughout Ohio. It might even go to Planned Pethood, who knows. Proceeds from the sale of the plate will go to the Ohio Pet Fund, a nonprofit corporation. Money in the fund is used to support programs for the spaying and neutering of dogs and cats for adoption from Ohio shelters and nonprofit organizations, and for those pets whose owners are unable to afford its cost. Make money for Planned Pethood just by shopping at Kroger and using your Kroger Card! AmazonSmile is a simple and automatic way for you to support Planned Pethood every time you shop, at no cost to you. When you shop at smile.amazon.com, you’ll find the exact same low prices, vast selection and convenient shopping experience as Amazon.com, with the added bonus that Amazon will donate a portion of the purchase price to your favorite charitable organization. You can choose from nearly one million organizations to support. To shop at AmazonSmile simply go to smile.amazon.com from the web browser on your computer or mobile device. 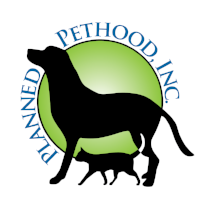 When choosing your charitable organization, search for: Planned Pethood Inc Toledo.